Have you started using Vroom? Do you use the tip cards or the Daily Vroom app? How has using this changed how you care for your child(ren)? 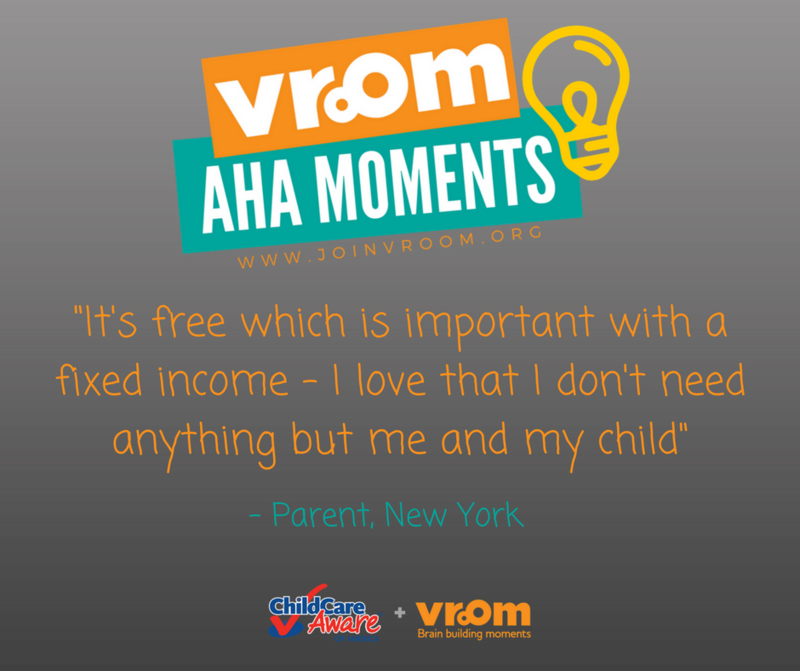 Here are some Vroom Aha Moments from parents who have used our tips! 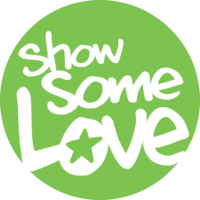 Click on each of these images to view, then drag the photo to your desktop to be begin sharing! Now, we want to hear from you! 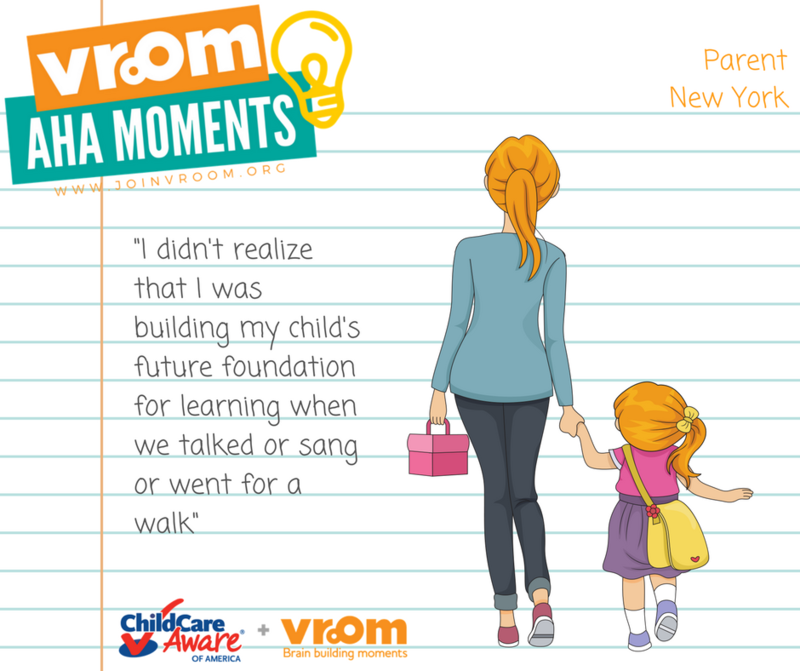 In a few five sentences or less, describe your Vroom Aha Moment. 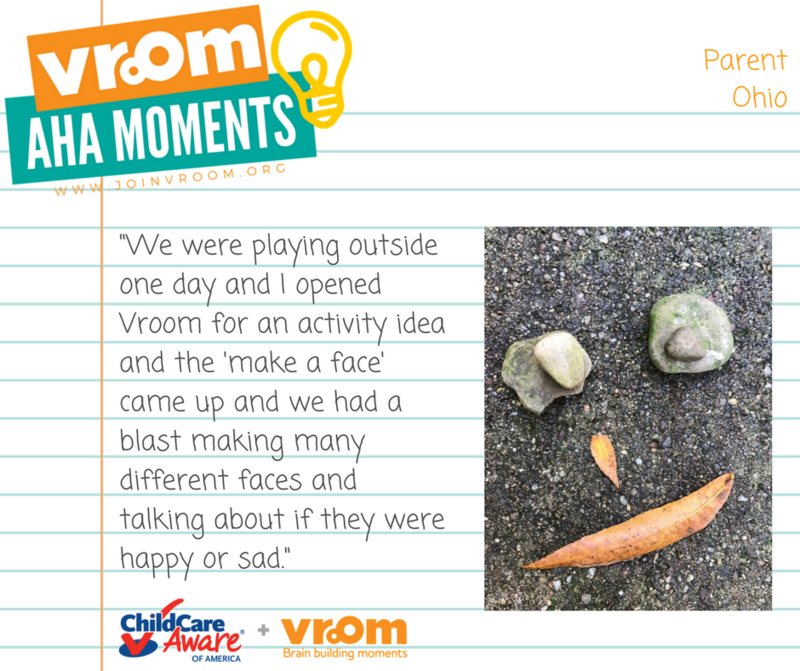 Tell us about the moment you realized Vroom turns everyday moments into brain building moments.